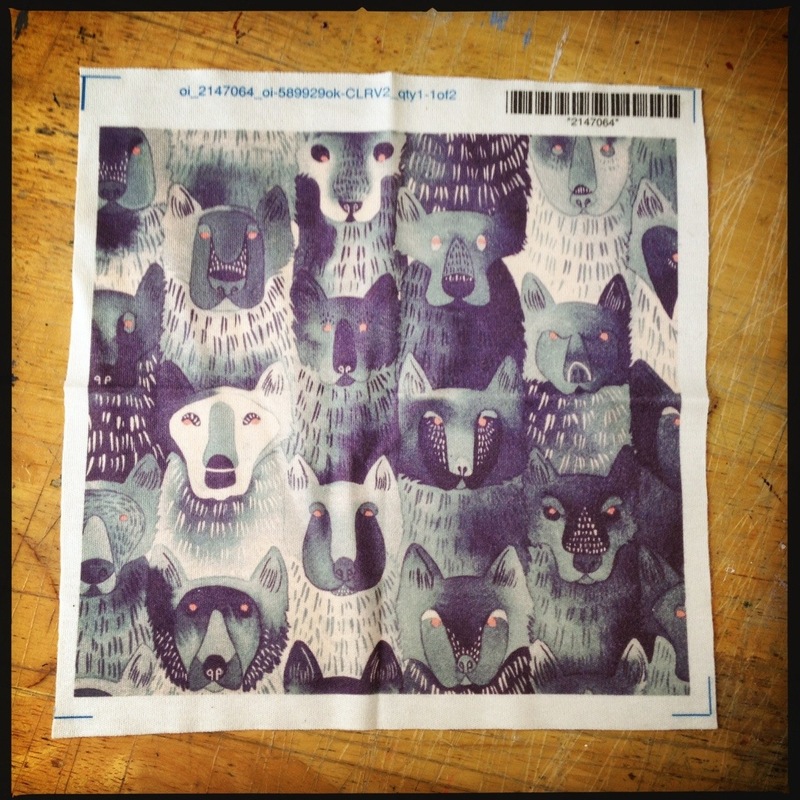 My fabric, now titled Indigo Wolf Pack, has come in from Spoonflower. And it looks so good! 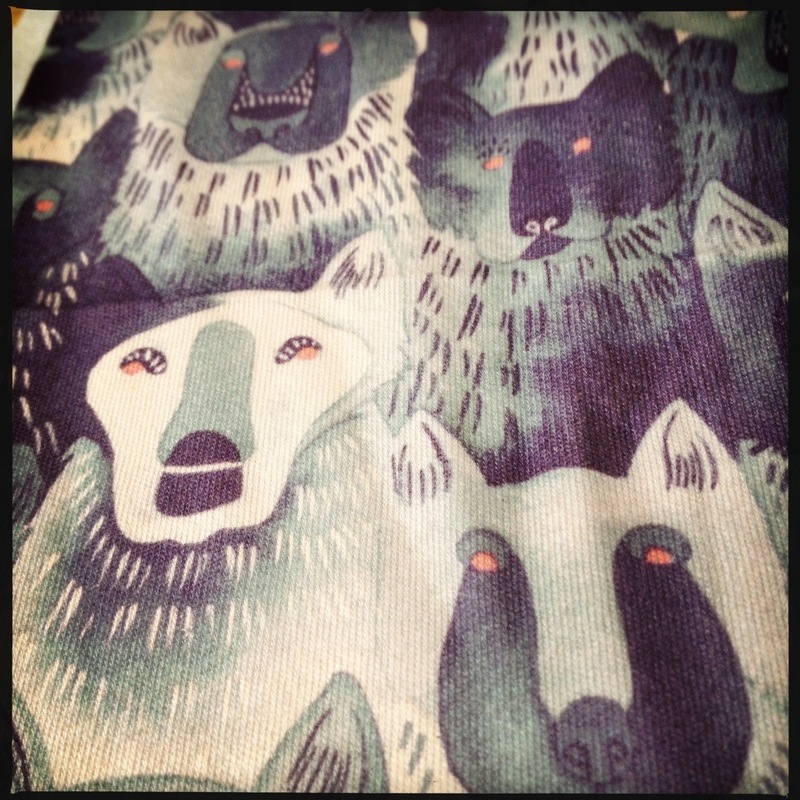 My swatch is printed on their organic cotton knit, which added a slight yellow tone that I find appealing. I’m impressed with the quality, but I’m looking forward to experimenting with other methods of getting my pattern on to fabric. Looks great! Love, love, love it! I love the finished product looks really great, just wondering if I could make a jacket for Bob, from it. By all means, go for it! All I ask is that you think about showing me the finished product! They’re dominated by violet ! So beautiful. How long does it take you to draw these? They don’t take too long to draw! Maybe only a few hours, but I work on them in short sittings. This is beautiful & turned out great on the fabric! Thanks! It makes me very happy when other people enjoy my work. Hi, I love this! the colours and style are so cool! I’m trying to create a fabric design from my own print, and tessellating it is proving to be a bit of a nightmare!